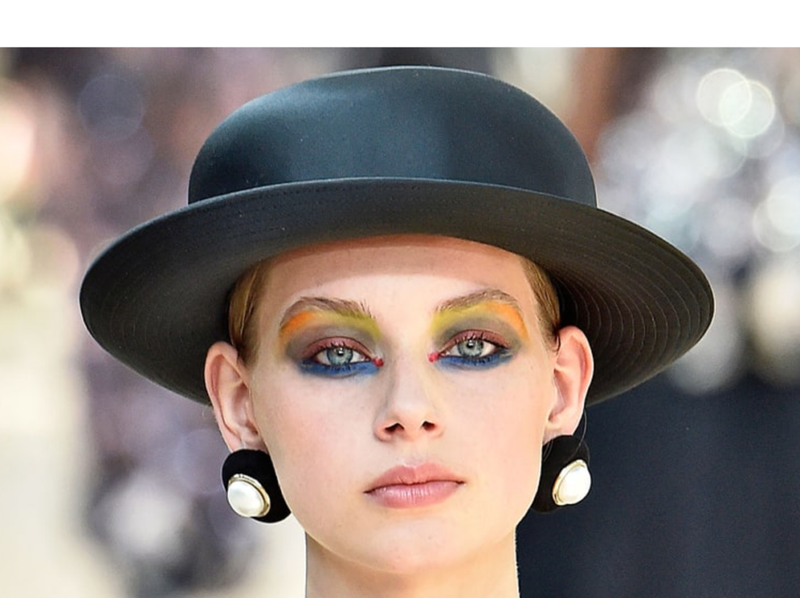 It was haute Couture week in Paris last week, and after a miserable weekend, the sun shone on the fashion capital for the shows. 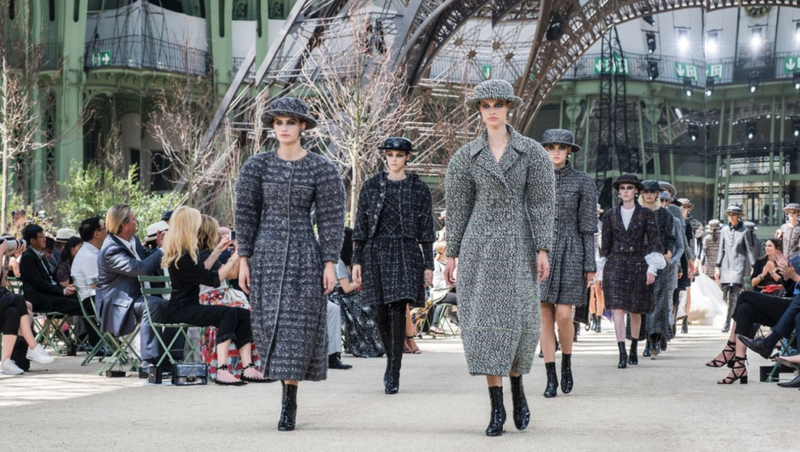 A stand out show, as in many of the past Haute Couture fashion weeks, has to be the Chanel show, brought to us by the fashion god, Karl Lagerfeld. As usual, the Grand Palais provided the space, however, something amazing took place inside. Chanel brought a Parisienne landmark inside the building! Can you guess what it was? The prop of choice for this seasons show was none other than the famous Eiffel Tower. (Boater) Hats off if you guessed it? We will always question, what could they possibly do next, and each year, Lagerfeld delivers something just as spectacular for his catwalks! For the collection itself, in accordance to our earlier hint, boater hats seemed to be all the rage! We also saw a lot of black, which was contrasted by bright embellishments (feather flowers to the necklines, shoulders and hems) and some serious unicorn eye make up. Overall, the collection took the traditional Chanel vibe, and really edged it up. We LOVED it! As per any Chanel show, the audience was celeb clad, with Cara Delevingne and Katy Perry both sporting a platinum colour crop hair cut. Super edgy. 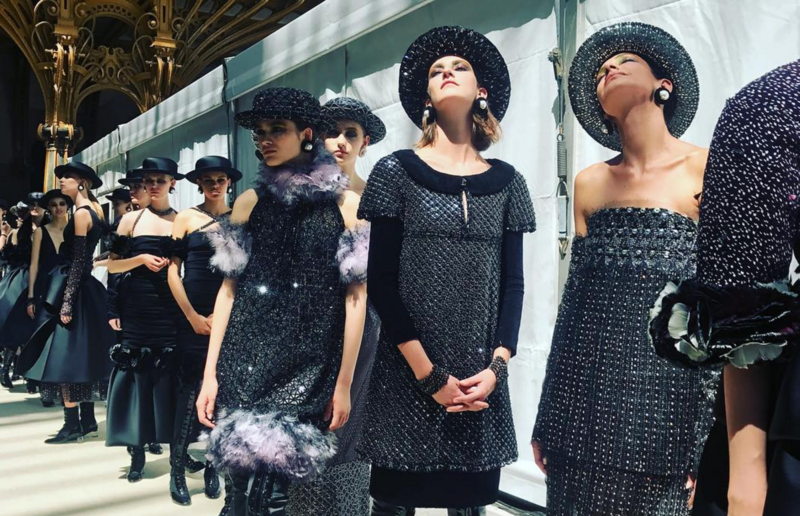 See the Chanel collections here. Shop Chanel Beauty here.